Are you a sushi lover? Well head on over to Sushi Tei Beachwalk Bali and dive into their all-new promotion and dine to your heart’s content. 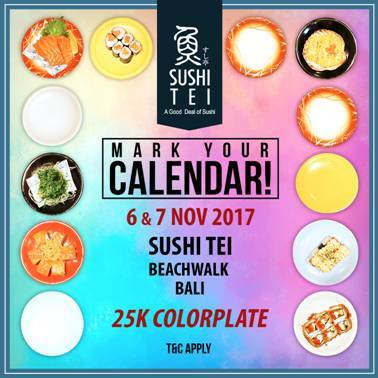 Only on 6-7 November 2017, enjoy a fixed rate of Rp.25,000 per ‘colour plate’ at Sushi Tei Beachwalk in Kuta. 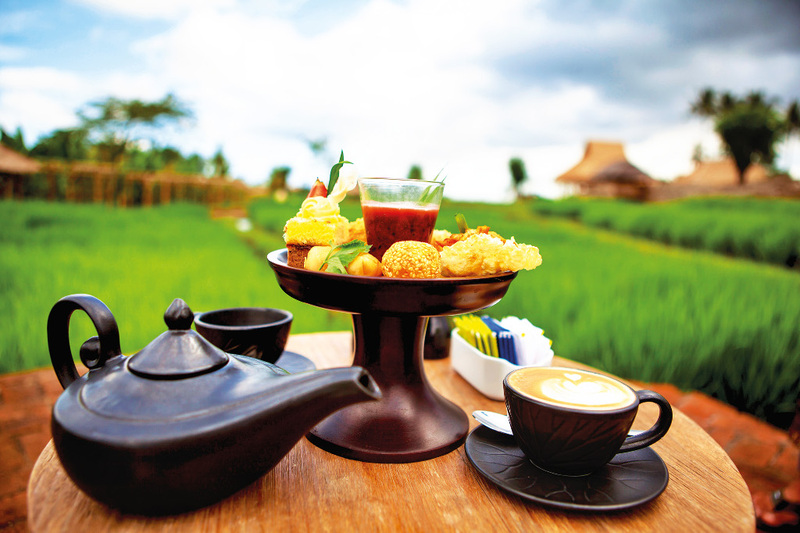 Colour Plate dishes include delights like Jo Ungai, Salmon Mentai, Salmon Hana Tobiko… and for the rest you’ll just have to go and see them for yourself.